There's an old adage among devotees of Wittertainment that if it's advertised on the side of a bus, a film is probably bobbins. 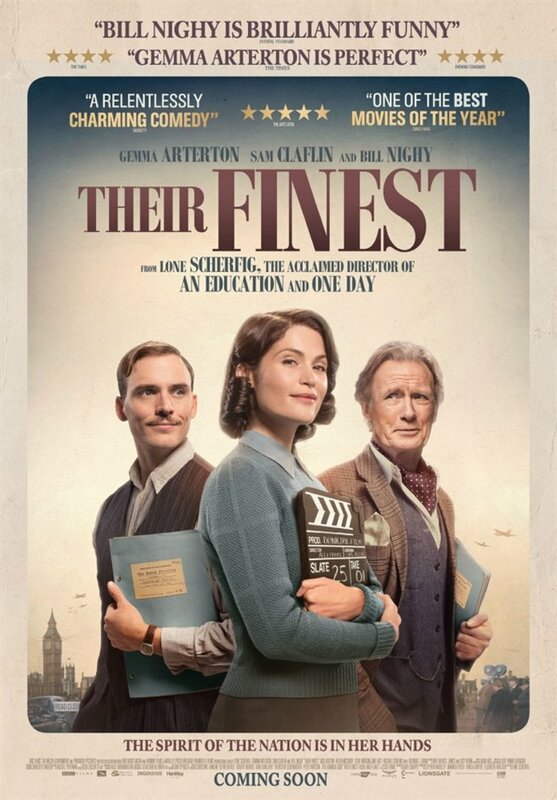 But then reviews of Their Finest started coming in, and it seemed that this rule had finally been broken. There was also word that this was Bill Nighy's finest (no pun intended) performance for some time. So it was with some excitement and remarkably little trepidation that we settled down to enjoy this World War II tale. And in one sense, we were. 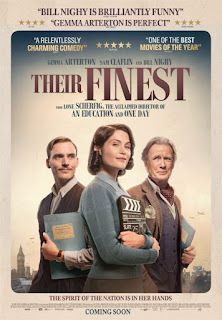 Telling the story of the making of propaganda films during the war, Their Finest looks at the role of one woman in a male-dominated environment. 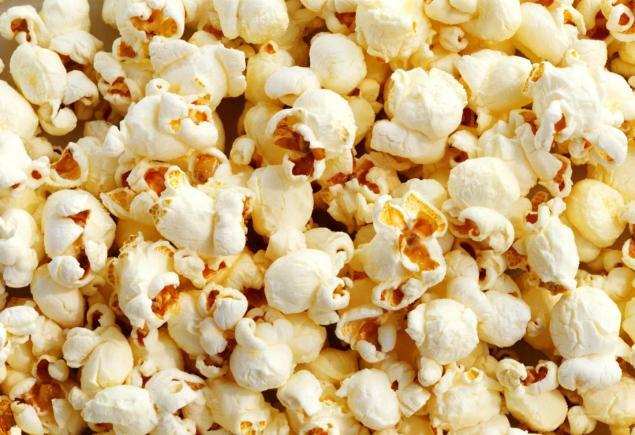 It's also a look at what happens to fading stars and how films were made back then. And on all those fronts, it hits the spot. Nighy, as moth-eaten forgotten star Ambrose Hilliard, is good. At his best though? No. His best is still About Time. Here he's playing the same Bill Nighy you've seen in countless other films, and while that sounds like a criticism it really isn't. Like an older Hugh Grant, he's very good at what he does - but 'range' is never a word you'd attach to him. But as a crusty actor trying to rekindle his career in a world that's not bothered who he is, he portrays Ambrose with his trademark style and deft touch. Arterton, however, is on another level. With a wonderfully diverse CV (if you haven't seen The Disappearance Of Alice Creed, do - and soon), she has already proven herself to be a quality actress - and here she's no difference. Playing a woman trying to pay the bills while her artist husband struggles to ply his trade, Arterton captures perfectly the struggles of domestic life in a city being bombed on a regular basis. Her interplay with Nighy is also great to watch, as the growing role of women meets the stubborn guard of the Old Ways. And it's arguably their relationship that is at the heart of Their Finest, as they both grow to see the other's point of view without losing ground on their own beliefs. And the film itself looks lovely (usually a backhanded compliment, granted, but not here) - the feel of the period being brought to life wonderfully. Sadly, though, it's not a film of any great depth. Yes, it could be argued that it's capturing the style of the time - but films have moved on, and there should be a way of telling this tale without the more two-dimensional ways of old. And this is where the film struggles. As good as the central performances are, and as well-handled as the lighter moments are, none of that prevents the attention wandering about half way through. There's no grit, here, no heft. Which means that by the time the dramatic stuff starts happening in the final third it's really hard for the audience to get out of cruise control and start re-engaging with the action. Put this film on BBC2 on a Sunday afternoon, and sure, you'll enjoy it. You'll pop out occasionally to make a cuppa and let the cat out (and then in again, then out, then...) without really missing much and all will be well with the world. But as a cinematic experience, you're left wondering quite why you made the effort to leave the house.